Got a dedicated server? Well, you could be spending hundreds of dollars a month more than you need to. You don't need to have a dedicated server to have complete control over a Linux server. A RimuHosting VPS provides the same functionality as a dedicated Linux server, but at a fraction of the price. With root access to a RimuHosting VPS, you have exactly the same kind of control over your hosting a dedicated Linux server provides. RimuHosting's powerful dual Opteron servers with multiple hard drives will ensure that the performance you receive from even our cheapest VPS exceeds the performance of a server ten times its price. So: why pay an astronomical price for hosting your application on an under powered dedicated server, when it is possible to get better performance and just as much control from a RimuHosting VPS. Are you outgrowing your virtual hosting account? Do you want to use programs that your host doesn't have and refuses to install? Do you want to set up SSL? Or run more than one website without paying anything extra? Virtual hosting plans will typically jam hundreds of users onto a single server. And virtual hosters will prevent you from installing and configuring the applications you need to run your web site. Don't let a virtual host restrict what you can do with your web site! A RimuHosting VPS offers a huge step up from virtual hosting in features and functionality, and only a small step up in price. Your VPS disk space is measured in Gigabytes, not Megabytes. So there is plenty of room for your databases, content and logs. RimuHosting data transfer allocations start at 20GB per month. #3Want Tech Support You'll Rave About? Have you been let down by hosts with poor reliability? Do you feel you're failing to get the technical support you deserve? Annoyed by support reps that do not know what they are talking about? With RimuHosting you'll get professional technical support with a personal touch. We back our hardware and technology with something even more important: good support. We'll answer any questions you have before signing up. We'll get you up and running quickly. If you run into any problems, we'll try our darndest to sort it out. BTW: we put our money where our mouth is by offering a 30-day money back guarantee plus a 99.9% uptime SLA. Of course. We can say whatever we like. At the end of the day it's how our customers feel about our service that matters. Feel free to read some of the nice things they've been saying. "BTW, you guys by far have the best customer service of any hosting I've ever seen. Thanks again for your extremely prompt customer service today, I'm already sold that I'm staying with your company for my serving needs :)"
JSP Hosting is becoming more and more popular. Developers are harnessing the power of Servlets , JSP and EJB to create database backed, user needs driven websites. Java developers find the technology is a powerful tool for finishing projects on time and to requirements. And their Java experience they're getting is really helping their careers. RimuHosting has harnessed our VPS technology to provide an outstanding Java hosting environment. Plus: our hosting is backed by a support team, which includes experienced Java developers. #5Been Called a Linux Geek Lately? Host your personal web site (heck, host your friends and family as well!). Don't have a site? Well use our VPS to host your photo albums, resume, or your blog. Run your own mail server. Set it up to filter all your spam and vaccinate any viruses. Tinker with DNS, databases, server monitoring. Or use it to store your backups. Work on that development project. If it's a programming language, our VPSs probably have it installed: Python, Java, Perl, PHP. Not to mention tools like GCC, MySQL, and PostgreSQL. You get root access to a dedicated Linux setup. 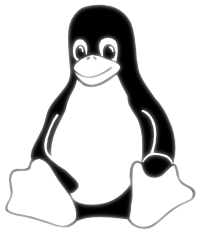 You have an up to date Linux kernel (typically the most recent Linux 2.6 kernel). You can choose a Linux distribution that suits you. That includes the latest Ubuntu and Debian distros. A RimuHosting VPS plan provides the reliability and flexibility you need to provide solutions to your customers and clients. Host your business website on our powerful, reliable servers. Use our VPS technology to protect your sensitive data. There are no shared file systems.You control what services to expose on your server. And it's no problem to set up a firewall. Do you create web sites for clients? Then save on hosting bills by hosting them all from a single VPS (with name based hosting). Set up your development environment the way you want it, not the way some virtual hoster wants it. Use a VPS to provide failover services for your 'main' server. Who wants their site to disappear when your DNS goes down? So, have your VPS provide secondary DNS. Is your main server backed up? Who does it? Are you sure they can recover your data from the backups? Perhaps you need an extra copy. Just in case. Our plans, with their generous disk space and data transfer options, make the ideal repository for your precious data. Want to Order Now … ?